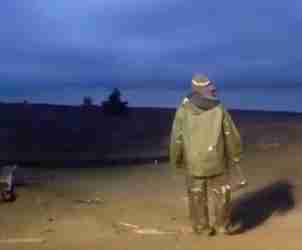 People off Alaska's coast noticed someone struggling out in the water this week. A local guide had been taking people to see the bears in their natural environment on a barrier island and noticed the movement in the water. 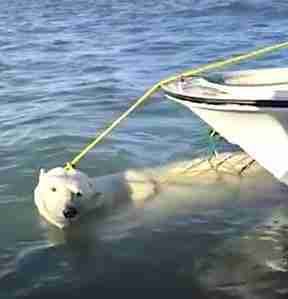 Upon closer inspection, they saw it was a polar bear caught in fishing net, nearly drowning. 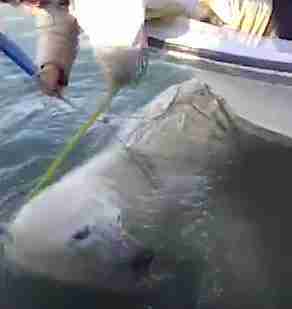 Local Eskimo fisherman, who had been hunting beluga whales, jumped to help the flailing bear caught in the nets. "My mother, my father went out on their boat," local woman Flora Rexford told FOX 4. 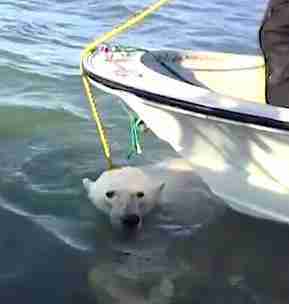 The man whose net the polar bear was caught in, Rolan Warrior, joined them, Rexford said. "They helped with rescuing the bear.... 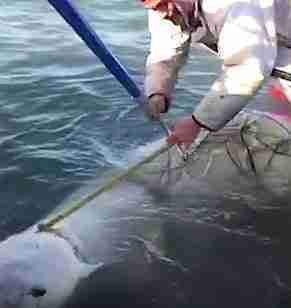 They brought it to shore, rolled it up onto the beach, had a hard time getting it on the beach, and then got the net free." 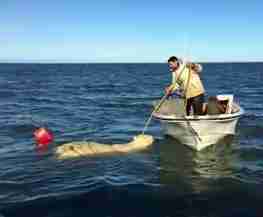 Rather than standing indifferently by, the fisherman worked hard and finally saved the life of the polar bear. 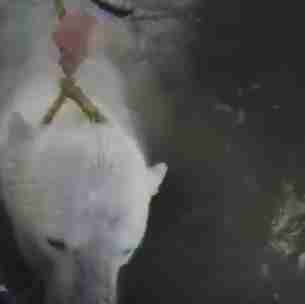 After the summer, there's little ice in the ocean, and so polar bears try to live their lives on land. 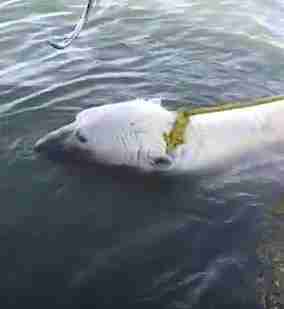 But whaling season poses threats for polar bears like this one, trying to swim in the waters. Nets are just one of the dangers polar bears face. Because of changes in the earth's climate, each year there is less ice for these beautiful animals to live on. Learn how you can help polar bears here.